Taking photos not only freezes images, but captures timeless moments. Da Bei Photo, a nearly century-old photo studio, has preserved precious memories for thousands of households with vivid pictures, which are also valuable visual records of China’s development. “For quite a long time, people living in southern Beijing would go to Da Bei to take a photo after saving up some money,” says Wang Dongru, president of Da Bei Photo, expounding on the past popularity of the photo studio. Da Bei Photo opened in 1921 in Shitou Hutong near Qianmen Street in Beijing. It was founded by Zhao Yanchen, an apprentice of Hong Ji Photo Shop on Longfu Temple Street. 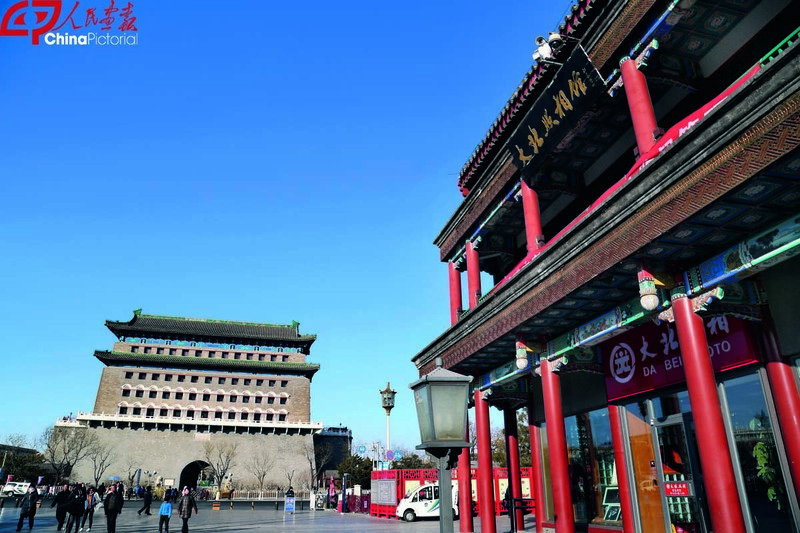 Surrounded by theaters and teahouses, Shitou Hutong was a bustling lane at that time, attracting many Peking Opera fans and amateur performers. Zhao Yanchen came up with the idea of offering a special service to shoot pictures of people wearing Peking Opera costumes. Da Bei also prepared various other costumes such as the Chinese and Western wedding dresses and doctoral academic dresses, many of which couldn’t be found in regular photo studios. Da Bei became a sensation across town. The six dressing rooms in Da Bei were usually all full on any given day. 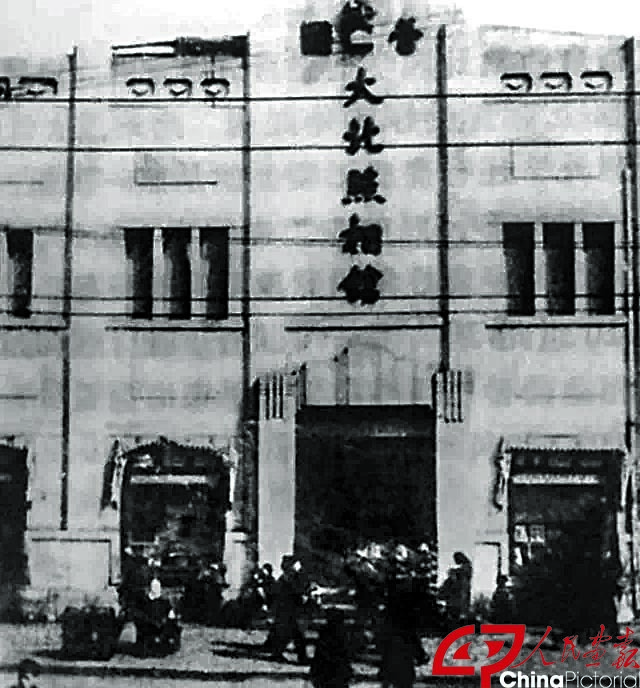 After the founding of the People’s Republic of China in 1949, Da Bei was transformed into a state-owned enterprise and moved to the prosperous Qianmen Street. During the “cultural revolution” period (1966-1976), the costume photography of Da Bei was banned, but the other services such as portrait and ID photography kept it among Beijing’s top photo studios even then. After the implementation of China’s reform and opening-up policy in the late 1970s, taking pictures changed from a luxury into a basic activity of daily life. Color photography for children, family and artistic portraits even became fashionable, as continues to this day. Before or during holidays, so many people streamed into Da Bei that customers had to get a token. Since 1954, group photos of many central organs and major ministries and commissions of the State Council have been taken by Da Bei, so it witnessed many important historical events of the country such as Chairman Mao Zedong meeting the cast members of The East Is Red, an epic musical dance production debuting at the Great Hall of the People in Beijing. 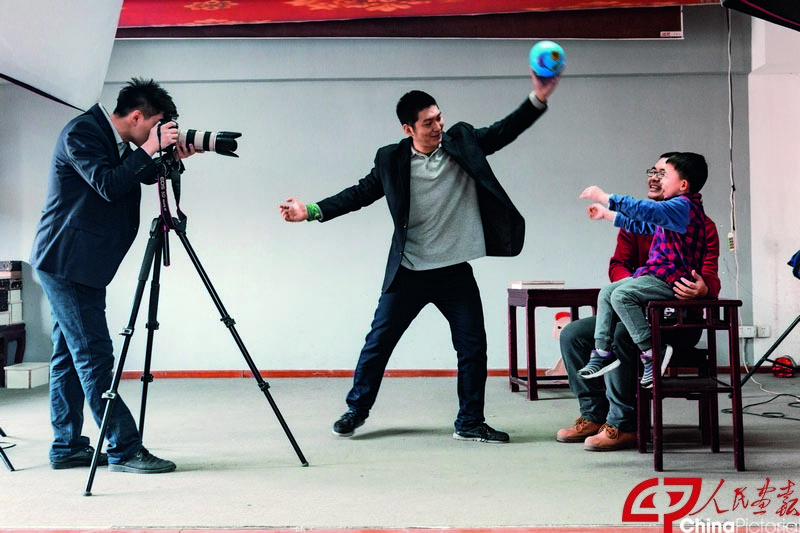 The photo studio also captured Premier Zhou Enlai meeting athletes of the Asian-African-Latin American Table Tennis Friendship Invitational Tournament. Since the 1950s, Da Bei has maintained a special department to provide photography services to the central organs of the country. Today it still shoulders the responsibility of taking group photos for the central leadership when they meet delegates to the National Congress of the Communist Party of China (CPC) and the National People’s Congress (NPC) and members of the National Committee of the Chinese People’s Political Consultative Conference (CPPCC). 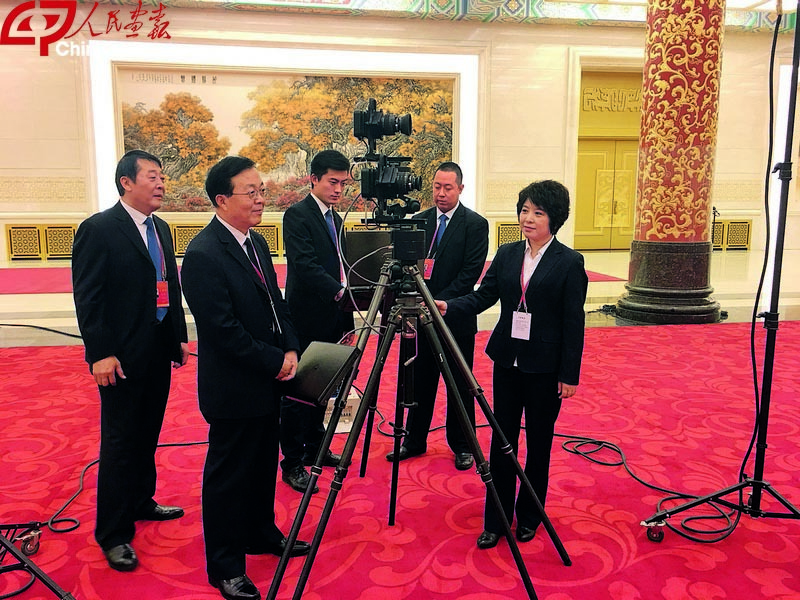 Wang Dongru was left with a deep impression of the photography mission her team completed recently for more than 2,000 delegates to the 19th CPC National Congress. As early as September 2017, more than a month before the congress, Da Bei organized a 14-person team composed of three generations. To ensure the high quality of their photography mission, the studio drafted a shooting plan with more than 20 pages and prepared four Swiss-made Seitz Roundshot panoramic cameras with image quality of one-billion pixels. The studio also worked with the Administrative Bureau of the Great Hall of the People to jointly design a five-meter-high lighting system with 27 sets of lamps that is easy to assemble and doesn’t emit that much heat so delegates would not get uncomfortable under the lighting. “Over the decades, I’ve been lucky to witness every important historical moment of the country with Da Bei, which is our great honor,” she added. A top-notch product sells itself. Over the past century, Da Bei has provided customers with diversified and qualified services through constant technological innovation. In 2006, it was awarded the title of China Time-honored Brand by the Ministry of Commerce. Some of the veteran technicians of Da Bei have mastered unbelievable skills in negative repair and restoration. Traditional negatives are developed with chemicals on photographic paper. To repair damaged film, technicians remove the chemical skin of the unnecessary part from the film and replace it with better material, similar to the lasso and cut function in Photoshop. However, the whole process is not as easy as working on the computer and more like performing a complicated surgery according to Wang. Colorizing negatives is another traditional skill that few can perform today due to the proliferation of digital cameras. However, the technicians of Da Bei have made some new attempts to enrich modern portrait work by making good use of the old skill. Using these skills, the technicians recently completed some artistic portraits with traditional coloring techniques, which appear more exquisite and artistic than color photos of the 1970s and more realistic and vivid than oil paintings. How did the studio preserve the precious skills and major selling points of the time-honored brand for nearly 100 years? Sticking to the old rules and ways would have hurt its chances for survival and development, but too much change can result in the loss of the soul of the brand. In the long process, Da Bei has attached great importance to making optimal use of both young and elderly employees to get better production. Veterans have honed skills, while the younger generations are more sensitive to fashion trends. By using this model, as the times change and the equipment improves, the style and essence of Da Bei are preserved. Wang considers the charm of the old brand its accumulation of tradition and features over the times—exquisite and irreplaceable craftsmanship and emotional attachment.